Russian (Soviet) armaments production in the Second World War. Following are tables of the annual Russian (Soviet) armaments production (excluding ammunition) and a comparison of the necessary strategic raw materials. 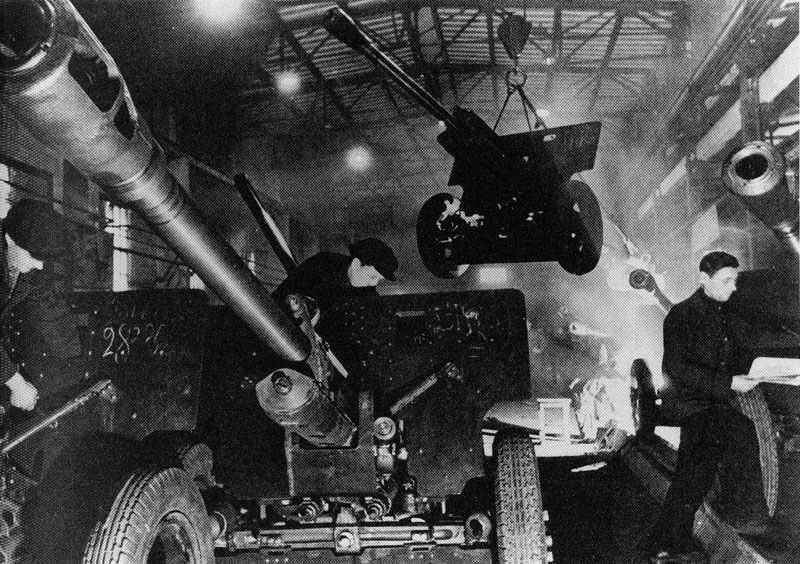 Production of ZIS3 field guns in a Soviet artillery factory. Rifles ? ? ? ? ? ? ? ? Merchant shipping tonnage ? ? ? ? ? ? ? ?